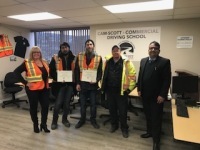 Cam-Scott Transport Ltd., Cam-Scott International Ltd. and Cam-Scott Truck & Trailer have been in business since 1985, 2002 and 2001 respectively. Another Satisfied Student!! 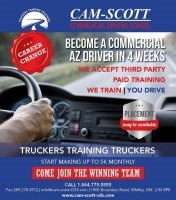 Currently employed at Cam-Scott Transport as a Full Time Driver! 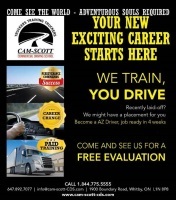 “Cam-Scott gave me direction and perspective towards my life and my current economic situation. I am proud to be a part of such an esteemed organization. 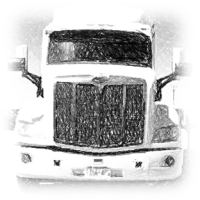 From the first month as a professional commercial driver, I have been making good money with reasonable family time as well. We the Cam-Scott people have been in business since 1985 providing safe, on time and reliable service backed by our hard work, honesty & well established good will developed over three decades. 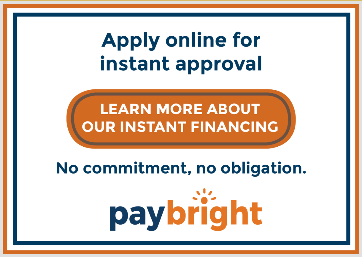 We proudly offer the following training courses. 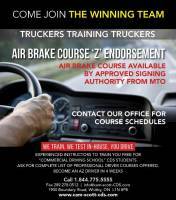 2 day 12 hour Ministry of Transport approved "Z" Brake endorsement Course. 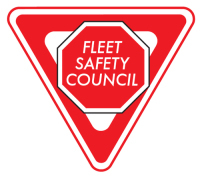 Basic safety & compliance training for entry level to advance level safety fleet officers for Canadian as well as USA fleets application laws from national safety codes,highway traffic act to us. 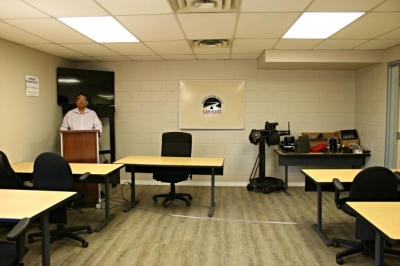 New drivers are paired up with senior drivers and are taken over the road to further teach them the tricks of the trade. This is a paid training programme . New driver is paid from the first day on the job.